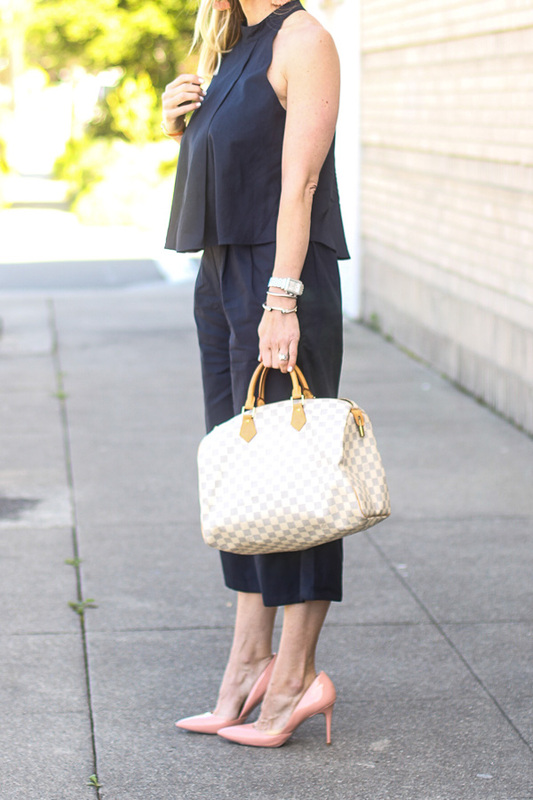 I am totally loving the culottes trend right now. I mean when else can you wear floods while almost 6 feet tall and its actually in fashion?! The best part is, this pair is linen and will be perfect for going all the way through summer. I can already see the pants with a cute red tank and espadrilles and the high neck tank with white denim cutoffs and these sandals. Don't you love an outfit you can get multi-use out of? I know I've said it before, but these heels are seriously so comfortable and easy to walk around in. Plus, I just love this light pink color so much that they are absolutely perfect for spring. I may just buy the black too.